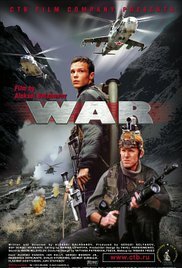 The film begins with the main character Ivan Yermakov (Alexei Chadov) being interviewed, and as he begins his story the films cuts to the spring of 2000, during the Second Chechen War, shortly after the fall of Grozny. A Chechen warlord Aslan Gugayev (Giorgi Gurgulia) runs a camp next to a mountain aul in the Chechen highlands. Despite having secure income from his organized crime gangs in Moscow, Saint Peterburg and Samara as well as some legitimate business there, he takes joy in kidnapping, since that is more patriotic and militant than random crime. Both Ivan and his comrade Fyodka were enslaved after they were taken prisoners in early 2000. They are held captive with a Russian-Jewish businessman named Semyon from Vladikavkaz, who was being held for ransom. Read more on Wikipedia.